It is with heavy hearts we announce the very sudden passing of John Schaap. He died peacefully in his Beausejour home on January 20, 2019. John will be lovingly remembered by his only daughter Tammy; son-in-law Chris; grandchildren, Tristin and Tyra; his mother Wilma Schaap and siblings; his partner Rain; Tammy’s mother Maureen and many friends and family, too numerous to mention. John was born in Spakenburg, Holland and moved to Canada as a young child. One of the proudest days of John’s life was when he became a Canadian citizen. 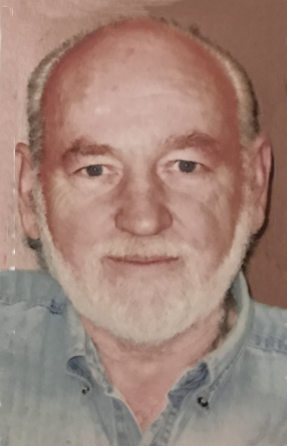 He lived in Oakbank, MB for most of his life and worked at Dominion Malting Plant until his retirement, at which time he moved to Beausejour and started work as a maintenance man at the Beausejour Recreation Hall. John devoted his life to helping others. He was truly the man who would give you the shirt off his back. He was not without his own problems; he battled his own issues and rose up to become a mentor. He was the person you called upon and was always there, no matter what. Whether it was to volunteer at the over 50 club, Meals on Wheels, AA meetings, donating blood, or even a shoulder to cry on. If he had it to give, he would give it. His pride and joy was his family; you could not ask for a better father and grandfather. He would literally do anything for them, even if it meant going for coffee at three o’clock in the morning or staying up all night with a crying baby. He would do it! He had an immense love for animals and nature. He was an amazing cook, carpenter and had a gift for remembering history and the Bible stories. As per John’s wishes there will be no service. A small celebration of his life will be held with his immediate family and friends. We are so saddened to hear of John’s passing. He truly was a very caring & helpful man. We shared many good times & laughs together while preparing meals for Club 50. He was a man of many endearing qualities. We will miss him very much. Rest In Peace our dear friend. Brokenhead River Community Hall. He was always ready to help. Deepest sympathy to his family. R.I.P. John. So very sorry to hear of the passing of your dad , grandfather and father- in-law. We’ve been friends with your dad for many years . He was always very considerate and friendly. Even after. he moved to the Beausejour area ,we would usually meet up and have a short visit, however, since our move we unfortunately never got to see each other. He was a great man and will be missed. Your memories of your dad will never fade. Take care. John was my neighbour for the last 10 years. He was always available for a chat over the back fence about the good things in life (building things, gardening and cats). Sometimes I would come home to extra food he put in my fridge that was leftover from Club 50, or a bouquet of flowers that he grew. Occasionally we would pig out on Dutch licorice and peppermints. He made our little community a better place, and I hope to keep his memory alive through acts of kindness. Love and condolences, Farrah. So very sorry for your loss Tammy and family. He was certainly the best neighbour anyone could ever wish to have. We always missed seeing him after he moved. Thoughts and prayers are with you and your family. We are so sorry to hear, the passing of John ,we are friends with the family for 48 years.Our thoughts and prayers are with all of you! ! Such a shock to hear of John’s passing. Such a kind heart, pleasant personality. Got to know him when working with Sally as he would often pop in to say hello. He will be missed by many. Our thoughts,and prayers on your lost. I was very saddened to hear of John’s sudden death. I have very fond memories of time spent with him and your family. I hope you are well and want you to know that I am thinking of you at this difficult time. My love and prayers to the family. John was a good friend to me and helped me out when my husband died. He also was a great help when I moved to Winnipeg. He was so proud of his grandchildren. He will be missed. R.I.P. JOHN Will miss you. you were a Kind Man. Lilly say’s She will miss you at Club-Fifty you were a awesome help there.